Home › Uncategorized › Solar Power in Vietnam grows rapidly. Solar Power in Vietnam grows rapidly. 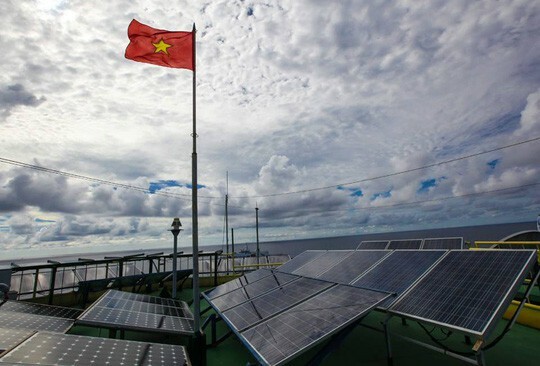 Solar power in Vietnam is seeing a huge boom in 2018 as a number of large-scale solar power facilities are in various stages of construction, due to the recent cancellation of two nuclear power plant construction projects deemed too expensive in the initial phases. Vietnam were planning on partnering with Japan and Russia to build two nuclear power plants in the southern province of Ninh Thuan, but these plans were scuppered late last year due to the large upfront cost of building the reactors (reportedly several billion dollars per reactor, according to Nikkei.com). Instead, the Thien Tan Group will spend USD $2 billion on five large-scale solar power plants in Ninh Thuan. The first plant, which will generate 50MW of energy, will start operating in 2018, followed by four more which will generate 200-300MW each – with all five estimated to end up at 1GW (the same as a nuclear reactor). They’re planning on attracting 4.85GW of large scale PV solar power plants by 2030. The Khanh Hoa Province have also got 120MW of solar power plants opening in 2018 – great news as currently solar power only accounts for 0.01% of Vietnam’s total power generation capacity. The government plans to rectify this by bumping the amount of solar generation up to 3.3% by 2030 and 20% by 2050. They currently generate almost 18GW in hydropower, but statistics from the Ministry of Industry and Trade have shown that wind and solar will become a lot more important in Vietnam’s energy mix in the next ten years. There is plenty of sunlight and unused land, especially in southern Vietnam, so as we see the price of solar panels and storage decline there should be a massive increase in the amount of solar generated there. This is similar to what we saw in Thailand, where battery producer Redflow moved their operations last year in order to save on lower production costs.